For more than a decade, a team of researchers, engineers and developers at Microsoft has been working on quantum computing, a new model of computing that promises exponential increases in processing power and could help scientists tackle questions previously considered unanswerable—on topics ranging from climate science and medical research, to the human genome and economics. 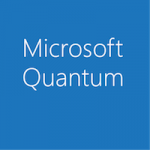 For the first time, Microsoft is releasing a new programming language and computing simulator designed specifically for quantum computing. Microsoft CEO Satya Nadella made the announcement yesterday during his keynote at Microsoft Ignite, sharing how Microsoft’s team is bringing quantum computing one step closer to reality. It’s an engineering feat on multiple levels, and we’re not there yet. But success isn’t just about creating a big enough quantum computer. It’s also about developing a useful understanding of quantum computing, building systems and applications that help to leverage its power, and a community of enthusiasts and developers to help realize the complex solutions that it promises. Which brings us back to yesterday’s announcement. As we continue our work, we will also provide developers with tools that will help them get up to speed and build the supporting applications and algorithms to fully exploit our quantum computer. As our CEO mentioned yesterday, Microsoft’s quantum computing programming language, which is deeply integrated with Visual Studio, and simulators will be available later this year. Quantum computing represents the next frontier in computing that can help address some of the most complex and important issues of our day, and we’re excited to see these tools accelerate our efforts. To learn more about Microsoft’s quantum computing efforts, and to stay informed about our work, sign up for the Microsoft quantum computing newsletter.